From the Internet of Things to the cloud to artificial intelligence, industries are seeing a wave of technologies that have the potential to transform and significantly impact the world around us. Business information provider IHS Markit surveyed its leading experts in its latest white paper to find out how these technologies are coming together in new and powerful ways to fundamentally change businesses, fuel innovation, disrupt industries and create both threats and opportunities. Here's a look at eight transformative trends for the technology market in 2018. AI has matured to the point where it is being used as a competitive differentiator in several industries, particularly in the smartphone, automotive and medical markets. Also, optimization for on-device versus cloud-based solutions is becoming an area of focus. Cloud AI has more computing power to analyze data as it utilizes deep learning algorithms, but there are potential issues around privacy, latency and stability. On-device AI, meanwhile, can help offset those dangers to some degree. For instance, smartphone users who deploy the built-in AI of their phones are able to store data locally and thus safeguard their privacy. The worldwide installed base of IoT devices will rise to 73 billion in 2025, IHS Markit forecasts show. Accelerating IoT growth in 2018 and movement through a four-stage IoT evolution — “Connect, Collect, Compute and Create” — will be the confluence of enhanced connectivity options with edge computing and cloud analytics. 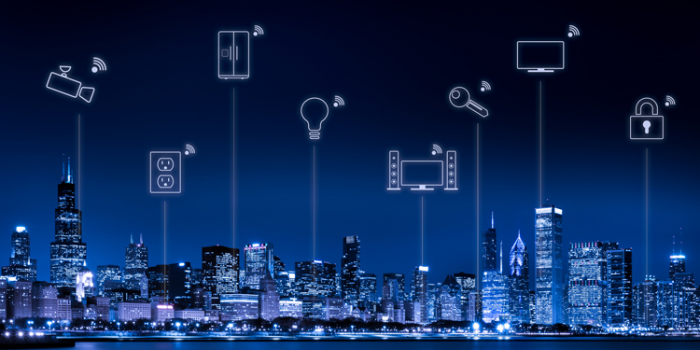 Enhancements in IoT connectivity, such as low-power wireless access (LPWA) will drive growth. Moreover, technologies adjacent to the IoT will become increasingly sophisticated. Machine video and ubiquitous video will empower new types of visual analytics. And AI, the cloud and virtualization will help develop critical insights sourced from data at the so-called “edge” of computing networks. Applying AI techniques to data will drive monetization in the form of cost savings, greater efficiencies and a transition from product- to service-centric business models. As the first 5G commercial deployments emerge, the story will focus on connectivity. However, the path to full 5G adoption and deployment is complicated, with new opportunities and challenges alike in store for mobile network operators, infrastructure providers, device manufacturers and end users. 5G represents a dramatic expansion of traditional cellular technology use cases beyond mobile voice and broadband, to include a multitude of IoT and mission-critical applications. The growing use of screens and cameras across multiple consumer- and enterprise-device categories, along with increasingly advanced broadcast, fixed and mobile data networks, is powering an explosion in video consumption, creation, distribution and data traffic. More importantly, video content is increasingly expanding beyond entertainment into industrial applications for medical, education, security and remote controls, as well as digital signage. The international market for robots and drones will grow to $3.9 billion in 2018. The deeper underpinnings of the story, however, lie in the disruptive potential of robots and drones to transform long-standing business models in manufacturing and industry, impacting critical areas such as logistics, material picking and handling, navigational autonomy and delivery.